You are here: Home / blog / Happy Halloween! Ireland is known as being one of the most haunted countries in the world with many of the world’s most famous supernatural characters and stories finding their roots in the tales told across the centuries by our ancestors around Irish peat fires on dark nights. Each wave of culture from the Celts to the High Kings has left a mark when it comes to the haunted history of the country. · Did you know that Bram Stoker, the creator of the original Dracula story was from Dublin city? Halloween weekend, the city celebrates his life and the legacy of the famous gothic novel. The three-day festival will peel back the layers of Stoker’s Victorian Dublin. · Take part and dress up or just watch the fun at Limerick’s Outbreak Festival. There are Zombie flash mobs, parades, movie screenings and live music. This is a great event and supports local charities. · Limerick Civic Trust is also hosting a Georgian Night of Murder Mystery & Mischief at No.2, Pery Square. Travel back in time in the Georgian House and solve a dastardly crime. · The Virginia Pumpkin Festival. 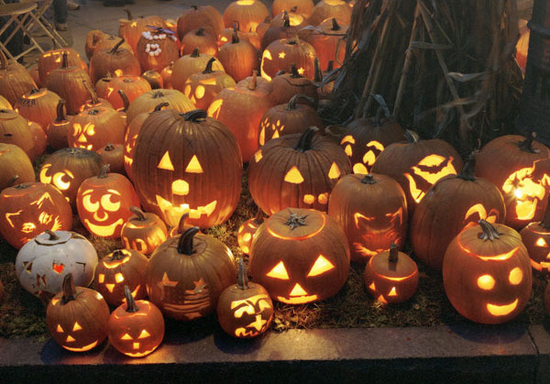 At this time every year the lakeside town of Virginia becomes the pumpkin capital of Europe. Along with the “Pumpkin Wonderland there are Haunted Forest Walks, Fancy Dress Ball, Street entertainment and Fireworks. These are just a few of the events happening all over the country. No matter which part of the country you are visiting you will find some Halloween themed entertainment. Call into any local tourist office for information so as not to miss any nearby events.